In today’s world of business and work, most entrepreneurs and managers are disturbed by the bookkeeping nightmare! This not only turns down your chances of impressing your client, but you also cannot rely on work because there are chances your appliances can break down anytime! In 2018, the federal government spent a total of $29,135,992 on Appliance Repair & Maintenance. It has awarded 647 contracts to 188 companies, with an average value of $154,979 per company!! Streamlining The Appliance Repair Process: What Can Be Done? Researches illustrate a 20 percent increase in cost savings and time by scheduling an appliance repair software in a business! This is made possible with quick response time, ready technicians, accurate paperwork and instant payment options integration. A software solution scheduled for appliance repair helps your business improve customer, job, and lead management, scheduling, and dispatching, estimating and invoicing, payment collection and not to forget, notifications by messages and alerts, and the inevitable telephone services. A quality Appliance Repair management solution will have an integrated calendar functionality. This can help you easily drag-and-drop your appointments to any day of the week. The benefits of having a customizable functionality help track appointments by keeping each of its kind unique. This serves in tracking job types easily and efficiently. Same is the case where you need to track an ongoing job for over a long period of time. Integrating a quality appliance repair software can help in effective calendar filtering and keyword search. Invoicing and online payments are other important key features of good appliance repair software solutions. These can be tracked via email integration. A fully secure mobile customer signature amenity is also inevitable for moving forward with the appliance repair tasks, especially for workers who are at their job locations to get approval for continuing with their respective tasks. 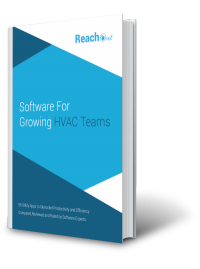 Your technicians can finally be able to capture customer signatures and create invoices on the job site. This helps in reducing back-office data entry and disputes. Additionally, customer records can be accessed and updated from a mobile phone or a tablet. 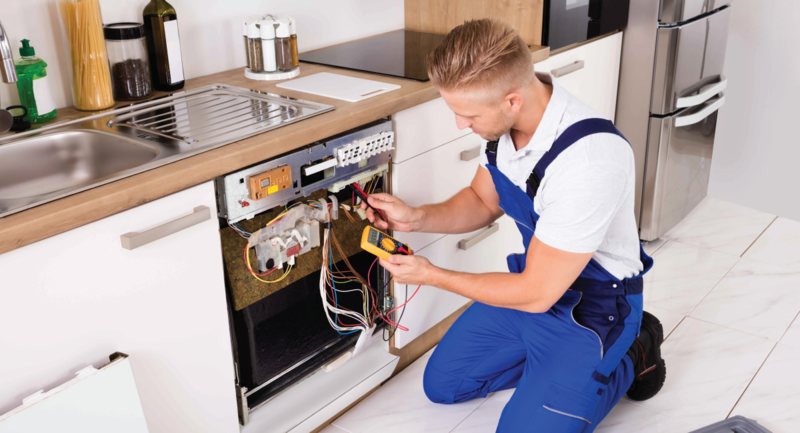 A good appliance repair software solution can help businesses optimize their field service resources to maximize appliance repair service revenue. This includes automatically assigning appliance repair work or enabling a dispatcher to use an integrated drag and drop ‘Click To Dispatch Console’ which can select the right technician to do the job. A quality solution can be delivered in the cloud to ensure that the selected appliance repair technicians have access to their work histories, warranty, and other important installation data. Another key feature of an eminent appliance repair software solution is the ability to eliminate the risk of inaccuracies. Additionally, to eliminate the need for increased paper documentation while in the field. This will significantly decrease the chance of losing important notes and forms while on the job. Making It Easier For The Repair Team – Via Their Mobile Device Or Tablet! Constantly having to check in with the repair team and scheduling tasks for them is a hurdle. Having an internet connected device allowing you to easily sync your job status, customer payments and signatures makes the process easier and efficient. This makes the day-to-day bookkeeping simple. A perfect solution of appliance repair allows you to identify available team members instantly and is able to send job information, customer history, GPS directions, and individual customer notes directly to the members while they work out in the field. With a proficient appliance repair scheduling software, you can save time and make communication much easier. Streamlining the entire workflow eliminates the risks of double data entry. 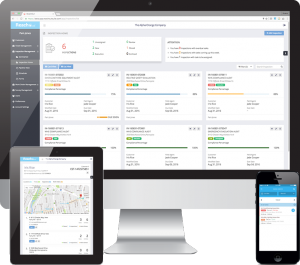 It helps in streamlining your schedules, gaining the ability to instantly reorganize your repair teams’ work activities and tracking your repair crew while they work in the field in real-time, generating work orders, and creating accurate invoices are the major advantages of such a solution. Accessing job status, generating estimates and invoices with job costs and retrieving other detailed data that can be accessed from any internet connected device from any location makes it easier for the repair team. It is important to dynamically guide your appliance repair field technicians through the workflows. Providing mobile access to the repair technicians makes it easy for them to access their schedule, track repairs, keep a hold of the customer history and service manuals, and so on. Notifications, alerts, appointment reminders and confirmation requests are a necessary part of the appliance repair tasks. It helps keep track of the job status and increase employee productivity. A prolific appliance repair software lets you customize according to your needs. For instance, fields that need to be added to different businesses can be different! Point and Click Interfaces do the job. We have come up with additional benefits that can perk your appliance repair system up. Below are listed the prime advantages that can help reduce scheduling errors and dispatch workers to complete more tasks in less time. All Of This Under A Single Roof – Because We Know your Appliance Repair Needs! What makes your business a success is spending less time dealing with paperwork and investing more time on your core business needs. Scheduling a quality Appliance Repair Software ensures you stay in sync with what’s going on at the office. Stay tuned to our latest articles and blogs to learn how we make a difference in tackling your appliance repair needs! !